Chinese officials recently offered incentives to its neighbor that included easier access to the mainland and the possibility of importing the island nation’s rice. However, Beijing’s proposition comes with a price for the DPP and its presidential candidate: changing its central goal of pursuing a moderate policy for relations with China. 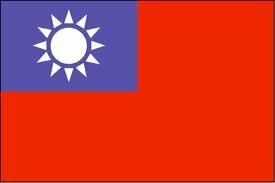 China on Wednesday [14 December 2011] dangled the prospect of more trade and economic incentives for Taiwan ahead of elections there next month, but warned the pro-independence opposition closer ties would be at risk if it did not change its stance. China has made little secret of its distaste for Taiwan's Democratic Progressive Party (DPP) ahead of January  presidential elections on the self-ruled island, even as its candidate Tsai Ing-wen tries to lay out a more moderate line. The Nationalist Party's China-friendly Ma Ying-jeou has signed a series of economic and tourist agreements with Beijing since becoming president in 2008, and China will be hoping he wins re-election and continues the rapprochement process. Yang Yi, a spokesman for China's Taiwan Affairs Office, told a news briefing that as long as cross-Strait relations continued on their present path, Beijing would not rule anything out when it came to helping Taiwan's people and economy. "As long as both sides of the Taiwan Strait can continue to maintain the trend of peaceful development, (more preferential policies) will gradually be rolled out," Yang said. Taiwan's push for closer economic ties with China reached a milestone last year with the signing of an economic cooperation framework agreement trade deal, colloquially known as ECFA, that cut import tariffs on about 800 items. "When conditions are right, we will sign more deals, using ECFA to push for joint prosperity and development," Yang added. However, China says trade talks can only take place based on the so-called "1992 consensus," referring to Beijing's cherished "one China" principle, which includes Taiwan as part of China. Beijing and Taipei agreed to their own interpretations of the "one China" principle and both sides subsequently held landmark talks in Singapore the following year . But the DPP does not recognize that a consensus was reached then, even as Tsai has said an administration led by her would pursue a "balanced, stable and moderate" policy towards China, shying away from the party's previous strong anti-China words. Beijing has repeatedly accused Tsai of still seeking Taiwan's independence, while saying it will not interfere in the elections. Yang repeated that only by recognizing the "1992 consensus" could China countenance talking with the DPP. "If (the DPP) denies the '92 consensus' and obstinately upholds its splittist position of 'one country on either side of the Strait', then anything else they say is just empty talk, and there is no way cross-Strait dialogue can happen," he added.